Pakistan Probe: Noor ul Hassan stands tall among all Ramadan transmissions, ask me why? Noor ul Hassan stands tall among all Ramadan transmissions, ask me why? Game shows are meant to be entertaining but we witness new hippety hop scenes for the sake of grabbing a present from the host. Ramadan is not only a holy month but for Pakistanis it’s a month of gifts and presents as many TV channels gave gifts in abundance to the audience in their special transmission. Every channel has their own special Ramadan or regular game show; we see many hosts who give gifts to their audience as these are candies of Halloween. I should not be comparing Halloween candies with Ramadan transmission game shows but here is something which strike my mind from day one of these weird and disgusting game shows. Recall Tariq Aziz the first game show host who started “Inam Ghar” and entertained us all with his wits and intelligence but with his informative questions as well. Later on Dr. Amir Liaquat started his own show comprising on same idea but the theme was actually different; which became the base of all upcoming game shows we see on our screens. I like the idea of giving people presents through these game shows but abhor the way those gifts are distributed. They are supposed to do stupid and foolish things, more famous the host is, more idiotic acts he would ask his audience to do for the sake of a mobile, bike or even for a car. Between this race of more ratings and more popularity I noticed only one person who is diligent, decent and very courteous towards his audience and does not expect his audience to act fool in front of whole Pakistan on prime time show; or give them funny names or make them joke on live show. Noor ul Hassan is the man who in his Ramadan show distributes gifts among his audience in such a respectable way that it would steal your heart and may be you too abhor those gaudy anchors yelling vivaciously on their splendid show sets. It may give you a feel that those actively running hosts are probably distributing alms among audience and the way people sprang on each other to grab the bag is very annoying. Noor’s show is vice versa to all such typical game shows, and he distributes gifts through draws. We are heading towards a game show culture which is getting foolish day by day and later on it will also end up likewise to those morning shows. 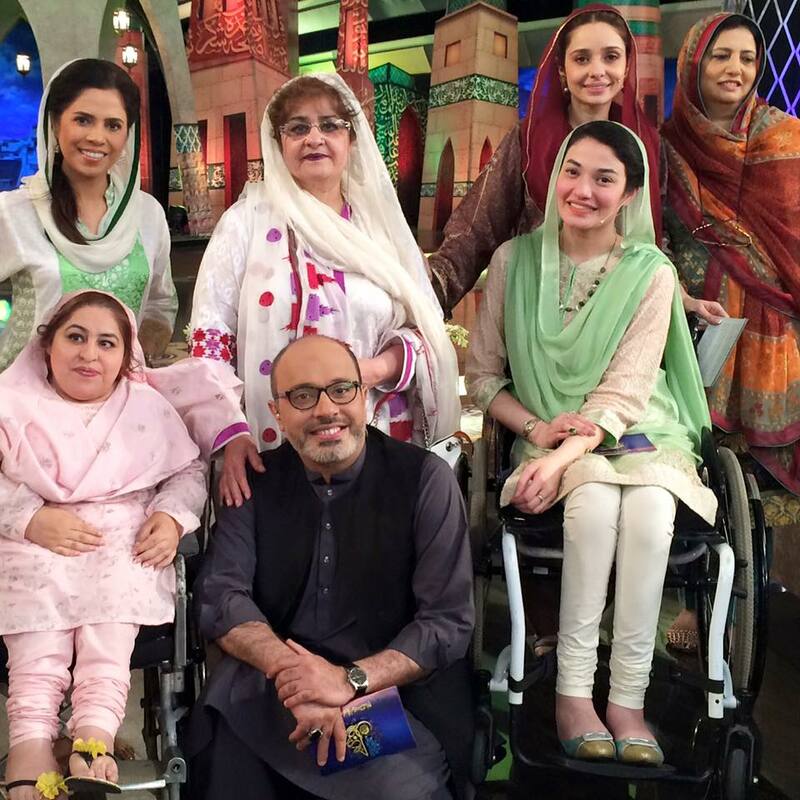 PTV never lost its true spirit and the selections it made for Ramadan transmission told us the standards. Noor ul Hassan not only stands tall among all the game show hosts but it also tells us that entertainment is not only gaudy sets, idiotic phrases and foolish acts; but what content we are giving to our audience in what way.